Willie Morrow came to San Diego n the summer of 1957, where he came from the south of America’s hardship. He arrived with a sense of community and commitment. 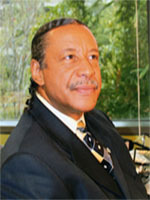 Dr. Willie Morrow as he is known by locals, know him to be strong minded and charitable. The New SD MONITOR NEWS is a tool, not a source of yesterday’s news. What’s important to us is that we become instruments of prosperity.